The Services below are provided to a variety of commercial customers in medical, manufacturing, general office buildings, churches, schools, car dealerships, distribution & warehouses, banks and credit unions, high security facilities and more. We have employees available to work Monday through Sunday all shifts. Because we have many medical customers we have several buildings that are cleaned 7 days per week. Often with a 7 day per week customers we will assign one team to clean Monday through Friday and another team that will work Saturday and Sunday. Team Leaders and Supervisors will facilitate communications between the teams and the teams will also communicate with each other. 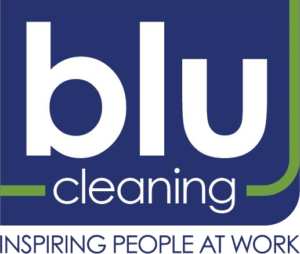 There is always a Supervisor covering weekend work and inspecting accounts so if you are a 7 day a week operation, you are in good hands with Blu Cleaning Services. We have the expertise required for cleaning medical manufacturing 100K (ISO 8) and 10K (ISO 7). We understand and have the equipment, procedures, and experienced personnel to properly clean ceilings, walls, floors, pass through and gowning room areas of clean rooms. For business expanding into medical manufacturing, we can provide the necessary janitorial support to ensure compliance. We also understand the documentation required with employee signoffs daily for compliance audits. Gowning for clean room cleaning requires not only specific dress requirements but also specific procedures for how an employee gowns and wears rubber gloves, masks, hood coverage for some clean rooms as well as boots or booties. We can instruct our employees for proper adherence. Equipment going into clean rooms may need to be cleaned before being taken in or may need to be kept in the clean room environment and dedicated to the clean room environment. Sticky mats can be changed by us and tracked by stick mat number to ensure it is changed with each shift or by specified hours. We provide day time coverage for customers that prefer to have the cleaning done in the early mornings and for those customers whom need to be cleaned both during the day and in the evening. Our day porters clean offices and break rooms early in the day, clean and stock restrooms and run auto scrubbers in manufacturing plants. Day Porters will be scheduled around the customer’s needs and times. We must schedule a day porter for at least two hours at a location due to gas prices for the employee to get to and from the location. We clean windows in and out. For exterior windows we use a HiFlo De-Ionization system by Unger. The De-Ionization system produces water without any traces of soot or chemicals to leave the windows and sills spot free. Because the water is De-Ionized, the windows dry spot free without the need to squeegee. The system also has waterfed poles enabling us to clean windows up to 3 floors or more along with different brushes for different surfaces and angles. Inside windows are cleaned with a squeegee system and window sills damp cleaned with the window cleaning. Care is taken to keep sills and walls cleaned during the process. Our customers have been happy with the results and are often on a window maintenance program in which we schedule to clean their windows spring & fall or spring, summer and fall. We will schedule and track the service and customer contracts can be inclusive of that service or be scheduled to provide us with pre-authorization prior to each scheduled service. Our Hi-Flo De-Ionization system can be used to also clean external block glass and glass canopies. If you have a more difficult glass structure to be cleaned, let us come out, take a look and help you to solve those challenging cleaning structures. It is a secure feeling to know that in the event that you have an employee or a student that becomes sick and is diagnosed with a contagious disease, that you have a janitorial company you can depend on to come in and disinfect their office, the restroom they use and the cafeteria the have had lunch in. We have had our customers call us in after employees have been diagnosed with a contagious disease or have unfortunately passed due to a contagious disease. We have disinfected offices, bathrooms, breakrooms, and even truck cabs. We have cleaned following diagnoses of MRSA, hand & foot disease, noro virus and meningitis. We have also been called in to clean bio-hazard situations where either a patient or an employee has become ill. All of our employees go throughbio-hazard/ blood borne pathogen training and are equipped to take care of our customers in emergency situations. Most vinyl floors need to be waxed and maintained although more no wax floors are being installed. No wax floors should be occasionally machine scrubbed but are designed to not require wax which is more environmentally friendly. If they are not coming clean with mopping which can happen over time, they will be machine scrubbed which is an additional cost. Other vinyl floors should be periodically stripped and waxed. We strip the floors and will strip baseboards. Baseboards should not be waxed although some companies do wax them. They should be stripped because in the process of stripping floors wax will splatter on the baseboards because of the rotating pads used to strip the floor. After vinyl floors are stripped, they are rinsed, dried and rechecked to make sure all wax & dirt are removed and baseboards are clean. We then apply 4 thin coats of wax allowing each coat to fully dry before applying the next coat. To save customers money, after a floor has been stripped and waxed and is ready for floor care again whether 3 months, 4 months, 6 months or a year later, depending on the foot traffic, we will provide a scrub & recoat which is less money and more environmentally friendly. A scrub a recoat does not involved stripper, removes the top two layers of wax and then we apply 2 fresh coats of wax. This can be done as long as the base coat of wax has not yellowed over a long period of time nor are there any deep scratches down to the base coat. Faux wood floors are machine scrubbed with a soft pad and a protective coating designed for those floors is laid. Some customers prefer a wax over the floor in which case a low gloss finish can be applied. Wood floors can be sanded and coated or screened and coated. For this work we subcontract to a company that specializes in the work due to specialized equipment and knowledge. Specialty floors are cleaned and treated if appropriate based on the manufacturers specs for floor warranties. There are a variety of new floors on the market especially for LEEDs certified buildings and we work with general contractors and installers to take care of those floors to ensure manufacturers warranties remain intact. Rubber floors are scrubbed with a soft pad and a specialized coating is applied specifically for rubber floors. The coating prevents the rubber floor from drying out and cracking and gives it a nice sheen making it aesthetically attractive. We have specialized equipment to provide a restorative clean and strip of ceramic tile floors. Grout is cleaned. Following the cleaning the floor is sealed to protect the grout prevent absorption of spills in the grout. Sealant does not change the appearance of the tile. Ceramic tile should never be waxed. Waxed ceramic tile will wear and can peel at the edges of the tile pieces and removing the wax can be challenging. Key to proper cleaning of bathrooms is knowledge of dwell time for disinfectants which is the amount of time a disinfectant needs to kill bacteria. All of Blu Cleaning’s employees are trained on proper bathroom training and dwell time to ensure a healthy environment and to reduce transmission of diseases. Toilets & urinals, handles and other touch surfaces are cleaned to reduce the risk of passing on germs. Bathroom cleaning also includes cleaning dispensers, walls, stainless steel, vents, stall walls and tops, floor boards and floors, drains, pictures, mirrors, showers, locker areas and other bathroom fixtures. We also do not use paper products to clean your bathrooms but use microfiber cloths to clean mirrors as part of our environmental sustainability. Cafeteria and break room cleaning requires proper disinfecting and sanitizing surfaces from tables to counters & backsplashes, sinks & sink handles. Sinks are cleaned daily with Crème Cleanser to remove coffee stains from the sink, drain basket & drain and also to prevent lime or calcium buildup around the faucet. Cleaning also includes wiping down chairs, cupboards & handles, the outside of appliances, the inside of refrigerators on request, vending machines, window sills, paper towel & sanitizer dispensers, water cooler equipment, floor cleaning and when done pushing in chairs and making sure the room is neat and presentable. Office cleaning includes cleaning the tops of cubicle walls, cubicle cupboard fronts, desks, chairs including backs, vents, pictures and plaques, walls, copiers and printers and other office equipment, conference tables, display cabinets. Our staff cleans the inside and outside of all entry glass as well as the sills, foyer floors, reception desks, leather chairs and reception furniture. We make sure any reading materials on tables are neat and presentable. In manufacturing areas we typically clean manufacturing bathrooms & break rooms as describer earlier as well as manufacturing offices. We also clean industrial sinks whether stainless steel or stone. Our employees will wear safety glasses in production areas in accordance with OSHA and will not cross yellow aisle lines. We can also run scrubbers on a regular basis through the manufacturing aisle to help you keep your plant clean. We have worked in clean room manufacturing, automotive related manufacturing and also work with electronic manufacturers with non-static conditions. For many of our customers are cleaning can extend outside from picking up trash, emptying outdoor trash containers, picking up cigarette butts to snow and ice removal at entryways to ensure onsite safety for employees and customers. We have a variety of auto scrubbers for various situations, with and without pads and use scrubbers on a daily basis with customers. Auto scrubbers can be an investment from a few thousand to many thousands of dollars so pricing for this service will include dollars to pay for the equipment investment. Auto scrubbers are great for maintaining cement floors and for other hard surfaces with a high level of foot traffic. Blu Cleaning has a variety of carpet cleaning machines for steam extraction from walk behinds to machines with wands as well as dry foam machines. What is most important with carpet cleaning is that the carpet is rinsed well and the soap pulled out of the carpet. Soap residue left in the carpet with attract dirt and cause the carpet to get dirtier sooner. Because so many of our customers have high security installations on their buildings, we do not use truck mounts but use self-contained equipment. This avoids leaving a door open to the facility while cleaning the carpets. We can provide a carpet and floor maintenance program where we schedule carpet cleaning monthly, quarterly & semi-annually. Monthly carpet cleaning involves spot cleaning carpets each month. Quarterly maintenance programs involves cleaning the carpeted traffic areas quarterly which is entrances, halls and conference rooms and cleaning offices less frequently. The full carpet can also be scheduled to be once or twice per year which varies with each customer. We have upholstery machines which are steam extraction and designed for upholstery cleaning. When you hire us to clean chair or couch upholstery, we also wipe down all arms and legs of the chairs. Billing is based on chair count of completed chairs. Our upholstery machines have an 8 inch adapter to clean cubicle walls. Cubicle walls may be cleaned due to an accumulation of dust over years or may need cleaning due to drink spills. Cost varies by panel size and the number of panels.